Maryland nursing home negligence claims are almost invariably medical malpractice cases. These lawsuits seek monetary compensation for harm caused by the health care providers at a nursing home or assisted care facility. Our law firm helps victims win compensation against these nursing homes in serious injury and wrongful death cases. Can you sue a nursing home for neglect or negligence? You can. Few of these cases make it all the way to the courthouse. Nursing home cases in Maryland that have merit are relatively easy to win for victims that have quality lawyers. They almost invariably settle before trial. Why? It is hard to shock a jury with how awful a nursing home treated a patient. Maryland nursing home lawyers feel like the reason the deck is stacked in our favor is that our clients' claims are exactly what the jury expects from a nursing home. It is a sad commentary on how we treat seniors. The reality is just tough to find a nursing home that you can feel confident in at this critical juncture of life. Bad care is ubiquitous for far too many of the 25,000 residents of a certified nursing home in Maryland. The vast majority of nursing homes in both Maryland and Washington, D.C. are cited for the same deficiencies year after year. - Report: State of Nursing Homes in Maryland & Washington, D.C. Nursing home lawyer attorneys like us are not the only ones sounding this alarm. The federal government's Government Accountability Office underscores this sentiment, finding a widespread “understatement of deficiencies” when it comes to this nation’s nursing home situations. Incredibly, there is clear evidence that nursing homes as actually getting worse. Yes, nursing homes are frequently inspected. But there is only so much that inspectors can do. Our Maryland nursing home lawyers hear reports of malnutrition and dehydration, bedsores, prescription abuse and physical abuse of nursing home residents that goes overlooked. Where is our nursing home care the worst in Maryland? Nursing homes in Baltimore and Prince George's County seem to be the poorest run and facilities that most find themselves the target of lawsuits. But bad nursing home care is ubiquitous throughout Maryland. We rank 33rd nationally in nursing home care. Throwing money at the "best" nursing home is no guarantee of quality care. With the rising number of “baby boomers” heading into their senior years, more residents are showing up at local nursing homes around the country. Within the state of Maryland alone, the number of reports regarding neglect, abuse, and all around poor care continues to flow in massive numbers. Nursing homes are not strictly liable for injuries that occur at these facilities. Their obligation is to guard against the risk that a reasonable person can anticipate. The four most common mistakes that generate litigation are abuse, neglect, medical malpractice and premises liability. Nursing home abuse is the worst of these three. It is characterized by an evil intent or a reckless disregard for the safety of the patient. This is not a crime of incompetence. Nursing home abuse is a crime of “I don’t care.” The legal definition of “I don’t care” is defined by federal law. It is the intentional infliction of injury, assault and battery that can include both physical and sexual acts, imprisonment or unnecessary restraints, deprivation of essentials such as food and water, or the use of medication that was not specifically prescribed to the patient for use. 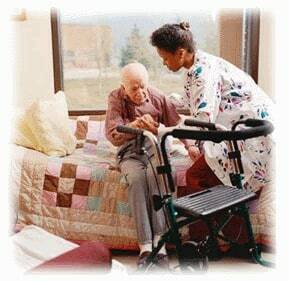 The issue of neglect in a nursing home or assisted living facility can involve ignoring a patient’s physical needs, the lack of prevention or treatment for bed sores, failure to alert a physician of medical problems, and failure to prevent things such as dehydration or malnutrition. Neglect is a form of abuse done with intent. It is a crime punishable by federal law. These acts of neglect can be performed by both the nursing staff and orderlies who are supposed to prevent physical and health-related harm to those for whom they provide care. Although the issue of medical malpractice goes more unnoticed than the above deficiencies, it causes a lot of pain to a lot of nursing home patients. Many doctors that are employed by these deficient nursing homes are doctors whose greatest asset is that they do not charge the nursing home much for their services. We are not speaking of all physicians who treat nursing home patients. But there are doctors out there who treat nursing home patients like stops on an assembly line and ignore the needs of their patients and the essential care the patient requires. The two most common lawsuits that arise from nursing home neglect are falls and bedsores. Premises liability lawsuits account for 8% of nursing home liability cases. Why so many? They are all part and parcel of the underlying problem in nursing homes in Maryland: not enough people are paying attention to what should be done. The facility is not well laid out, and the equipment is old and poorly maintained. Inadequate maintenance leads to deteriorating nursing homes and inoperable and unavailable equipment. These deficiencies lead to premise liability cases. It is amazing how many open and obvious trip hazards there are in nursing homes, the one place where people are most vulnerable to slip and fall. Nursing homes in Maryland are licensed under state law. The overworked and understaffed Maryland Office of Health Care Quality (OHCQ) is the agency within the Maryland Department of Health and Mental Hygiene that are responsible for making sure Maryland nursing homes are safe. Maryland nursing home law also maintains provisions that are referred to as the "Nursing Home Bill of Rights" for residents. Nursing home lawsuits that involve breaches these Bill of Rights or any other claims against Maryland nursing homes are typically fought in state court. How Much Are Nursing Home Lawsuits Worth? In a civil case, this is the most important question: who much is my nursing home case worth? How much compensation will I receive? This is not greedy. Money is the only remedy we have in the judicial system. Our attorneys are singularly focused on trying to get our clients as much money as we possibly can to bring about the justice they deserve. A company, Jury Verdict Research, did a study a few years ago and found that plaintiffs injured due to nursing home negligence receive a median compensatory award of $329,000. Incredibly, compared to the low rate of success in medical malpractice cases, juries awarded damages in 63 percent of nursing home and assisted living personal injury trials. One-quarter of these verdicts exceed $1.1 million. (We discuss the value of nursing home cases in greater detail here.) What does this tell us? Juries know there is just bad care in too many nursing homes. What kinds of cases are most attractive to Maryland juries? Clearly, this is a high level of disgust in allowing Stage IV pressure sores to develop. Juries understand that so little effort is required to avoid severe injury or death. Juries are also particularly receptive to nursing home claims that involve severe dehydration and malnutrition, gram negative septicemia due to infected pressure sores, and neglectful catheter care. Injuries associated with problems in medication administration also have been the source of many claims, along with those related to incidents involving restraints, side rails, elopements or burns. If you believe that you or someone you love has suffered a serious injury as the result of nursing home abuse or nursing home neglect, call our Maryland nursing home attorneys at 800-553-8082 for a free Internet consultation to discuss a potential lawsuit. There are no fees or expenses unless a recovery is obtained. We can help put you on the path of the best possible settlement.